Somewhere in the Middle of America – Bird Release. 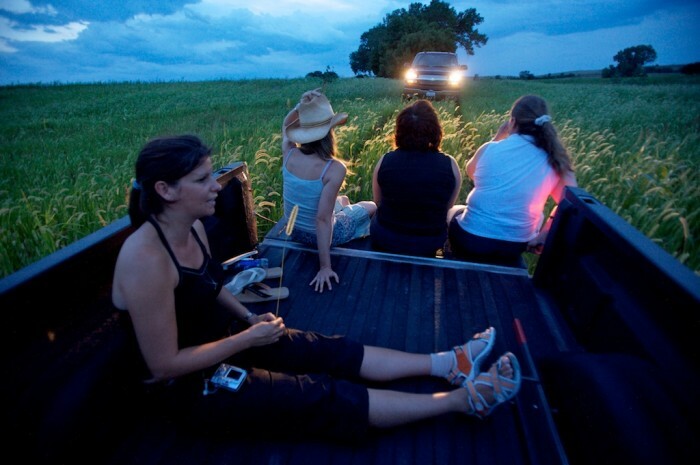 It’s a bumpy pickup ride across prairie that is part of Nebraska’s Conservation Reserve Program west of Red Cloud after the Kerr family and some of their friends released game birds onto the land as the summer evening brings on darkness. The Kerrs, of nearby Hastings, have the property for hunting and use Red Cloud as their base when at the cabin. The game population has been on the decline, but hunting still brings business to Red Cloud.